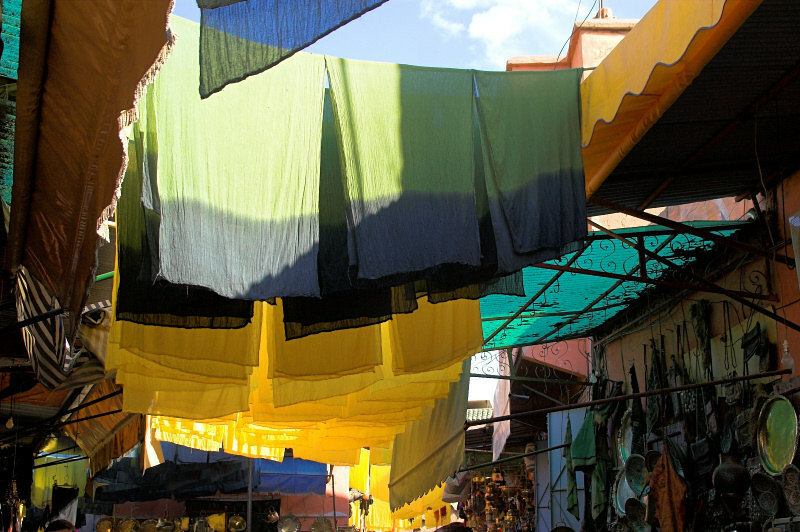 The souks of Marrakesh (Marrakech) are said to be the most extensive ones in Morocco. In the maze of alleyways and small streets, it is difficult to tell whether this is true, but I am sure that I could spend ages there and still discover new things all the time. One of the most picturesque parts of the souks are the “dyer’s souks”. If you want to actually see the dying process, Fes is a far better place to go. 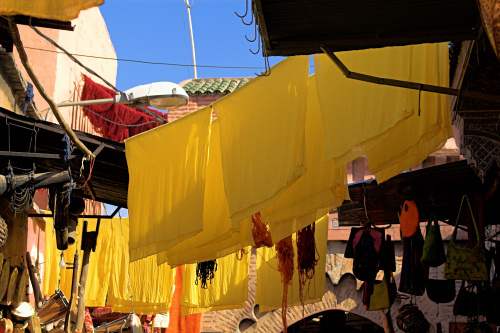 However, in Marrakesh you come across brightly coloured leather, wool and cloth drying in the sun a truly beautiful sight!